When it comes to drugstore beauty products it's an understatement to say that Dove has a cult following. 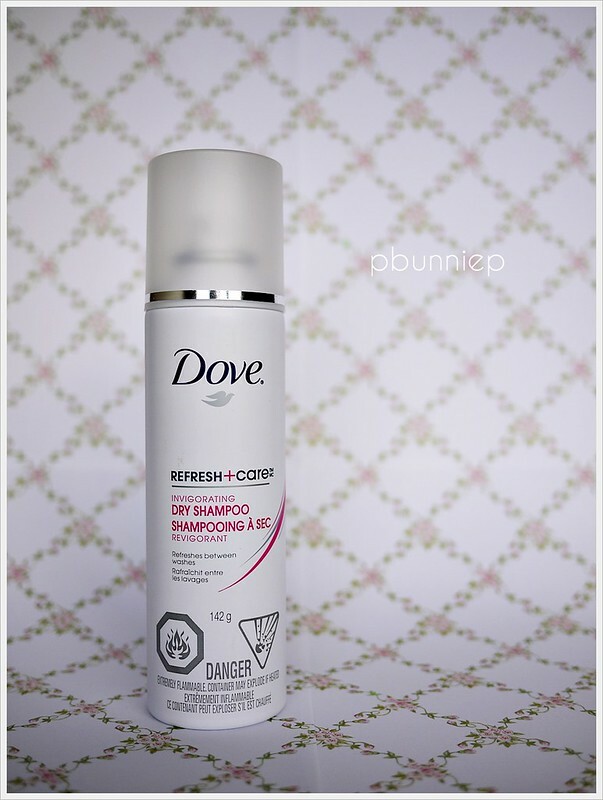 In it's most recent expansion Dove has put forth some new additions to their haircare line, Style+Care and Refresh+Care which are a range of styling products to make your hair look fabulous post shower. On the top of the favourites list all around the beauty community is this dry shampoo which I will be sharing with you today. 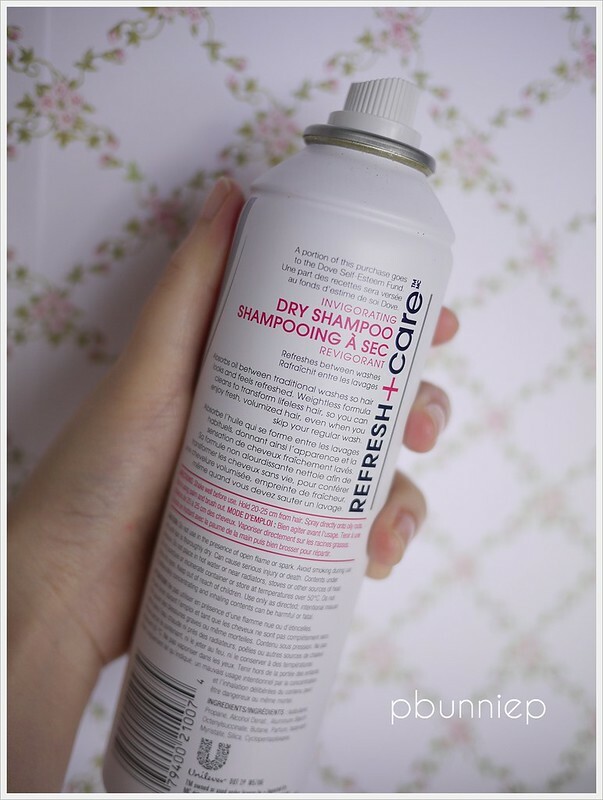 Dry shampoos in general have always come across as a must have do-it-all product when it comes to hair styling yet finding the perfect one wasn't so easy. 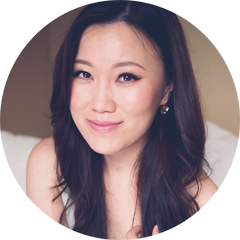 The general makeup of a dry shampoo is just a mixture of powders (often cornstarch) mixed with alcohol (for quick evaporation) and a bit of fragrance (to eliminate odors) compressed into an aerosol can. Sounds simple enough in theory but as someone with fine hair I've always dreaded the matted gunky feel of the powders in my hair. With my eyes closed and fingers crossed I decided to pick up the Dove version to see if it would fulfill my needs. The very first thing that caught my eye even before I brought it home was the design of the this Dove hair range. Although I have very feminine tastes when it comes to packaging, I love the clean and warm aesthetic of the matte white design with simple bright lettering. Amongst the rows of the haircare items on the shelf, Dove's stood out was being very inviting. One can has a total of 142 grams of product and is housed in a medium sized container that fits nicely even in my small hands. 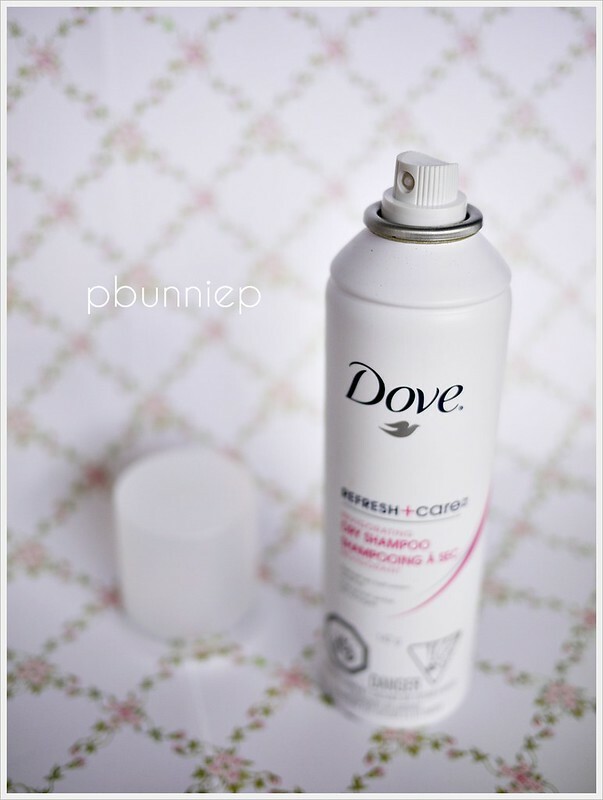 The can directs you to shake and then spray 20-25cm away from the hair, rub and brush for clean feeling refreshed hair. The aerosol release disperses a fine spray of product in the hair, so fine in fact that it truly is invisible unlike other dry shampoos which often leaves me with a head of white powder on my dark hair. On initial contact there is slight cooling sensation which feels great when I'm re-fluffing day old hair. What I really love about this dry shampoo is the truly lightweight feeling that is has while absorbing oils at my roots. Because the powder is so fine (and invisible) I can even re-spray later during the day without feeling like I have a lot of product buildup in my hair. The powders also do not make your hair look super matte which can translate into dry, dull looking hair. While this would be a fabulous product for those with fine hair, it's not the best at giving texture and volume (something that heavier powders would do better at) plus it likely won't be enough for those with super oily hair. Personally I also find the scent to be too strong especially if you are using it in a small bathroom although I bear with it because it dissipates quickly. Isobutane, propane, alcohol denat., aluminum starch, octerylsuccinate, butane, parfum, isopropyl myristate, silica, cyclopentasiloxane. Find out more about Dove's hair range on their website. With everything being said, I can deal with the strong fragrance in exchange for a truly useful dry shampoo that I can use on a regular basis. The super fine powders makes it easy to use and more importantly never makes my fine hair feel dry or gunky. When the situation get's dire, I sometimes use this two days in a row and it's still bearable without causing an itchy scalp or flaking. 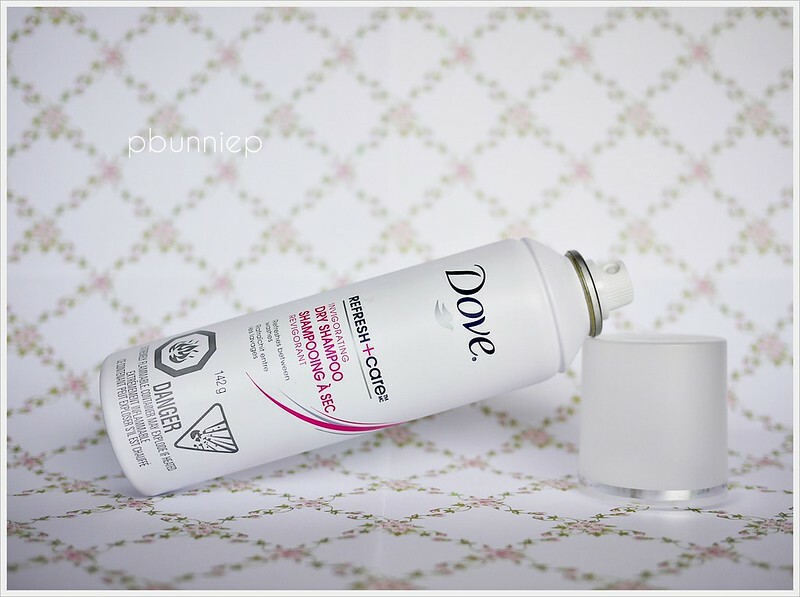 I'm incredibly impressed by Dove's Dry Shampoo and it's going to stay on my shelf for a long time. I will have to go out and get a bottle. The one I'm using is great but if I don't brush my hair out, it will leave a nasty white residue on my dark hair. 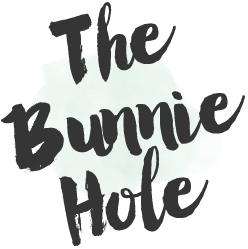 I loved this dry shampoo but BE WARNED I only got about 3 uses out of mine before all of the air leaked out and there was no product left! This has happened to lots of others as well. I hope they repackage or fix the faulty nozzle! I've had mine for a few months now and nothing's happened to it....yet. Thanks for the heads up I will keep an eye out for that though and treat it extra carefully! I hate faulty packaging too, makes me feel like "good grief can/bottle/jar, GIMME MY PRODUCT YOU!"